Once you purchase the program, you will receive the exam and links to the videos in your email within 1 business day. Please complete the following steps to receive your Rapid RH® Training Course Certificate of Completion. 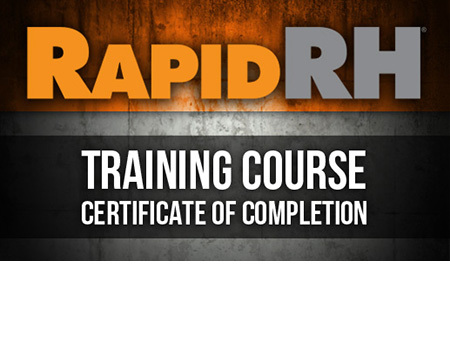 View the Rapid RH® Training Videos here. Complete the Rapid RH® Exam (sent to your email after purchase). Send completed exam to Wagner Meters via email, fax, or mail. NOTE: Viewing the Rapid RH® Training Videos and a passing grade on the test are required in order to receive a Certificate of Completion. Wagner Meters will certify completion of the Rapid RH® Training Course and passing the Rapid RH® Test. The Rapid RH® 4.0 design makes it the simplest concrete relative humidity test for anyone to use as well as the easiest for anyone to comply with ASTM F2170. While the Rapid RH® Training Course Certificate of Completion is not necessary to get fast, accurate results, Wagner Meters has made this available due to numerous requests.